I knew I wouldn’t have a lot of time to spin today, so I got up an hour early this morning in order to get started on ounces 5 and 6 of the cabled yarn project. 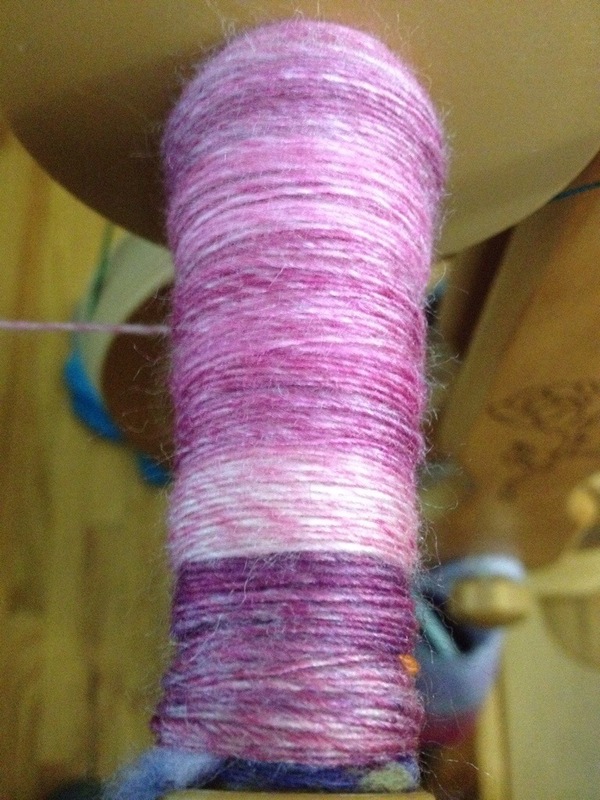 I am back to spinning singles, and it’s going quickly so far. 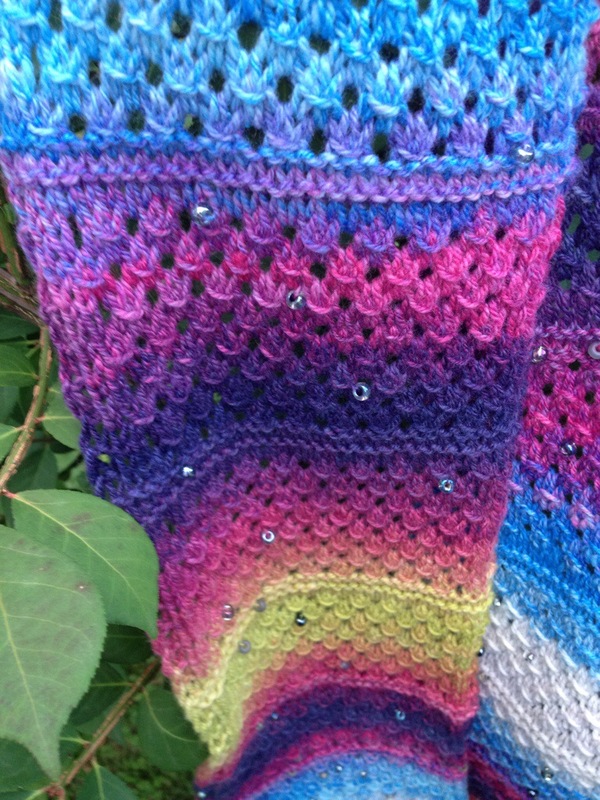 I also got a chance to block my beaded scarf last evening, so I had time to photograph it this morning. 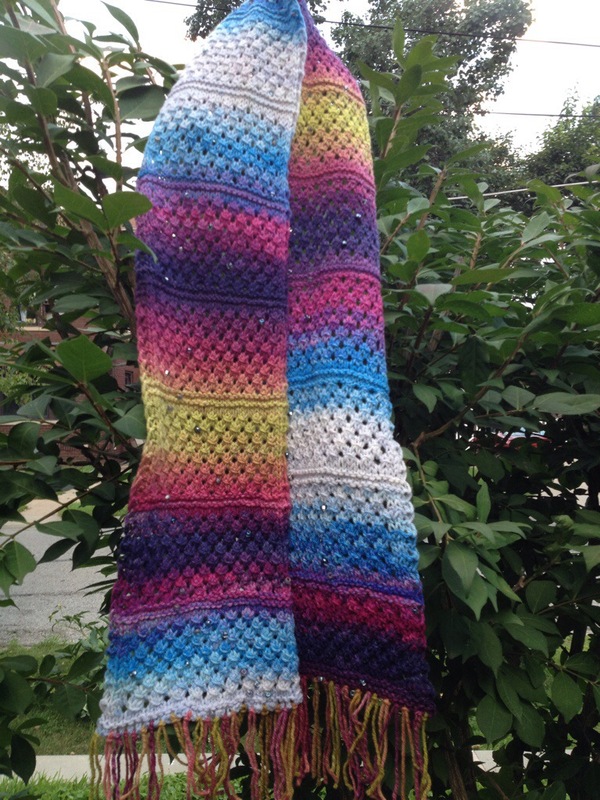 The pattern is Pipp’s openwork eyelet scarf. I added a 2 stitch garter border to each side, as well as a 4 row garter break in the pattern after every 4 pattern repeats. In interest of using all my handspun, I added fringe as well, mostly because not using handspun yarn with beads was unacceptable. I love the bright colors, and I think it’s crazy pretty. I love the contrast with the cool blue/white colors and the warm pink/green. I can’t wait to wear it. And surprisingly enough, the beads show up quite well!